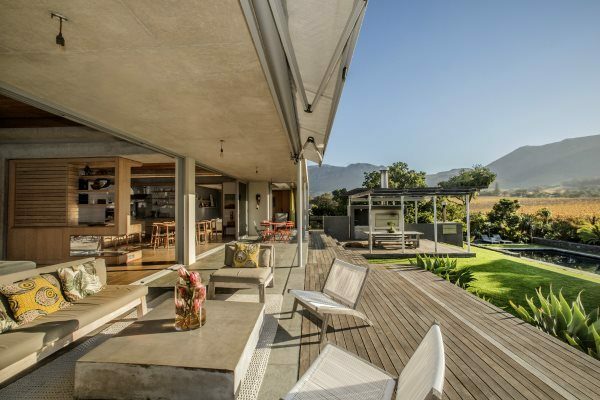 After five years of tender love and care from current homeowners Matt and Victoria Bresler, this remodeled architectural masterpiece of a home is on the market for R45-million. When the Breslers first saw the property that would be their home for the next 5 years the view was the only thing that was spectacular, but after looking past the existing structure and creating something new from what was, the architectural traits of the house are now it’s selling point. 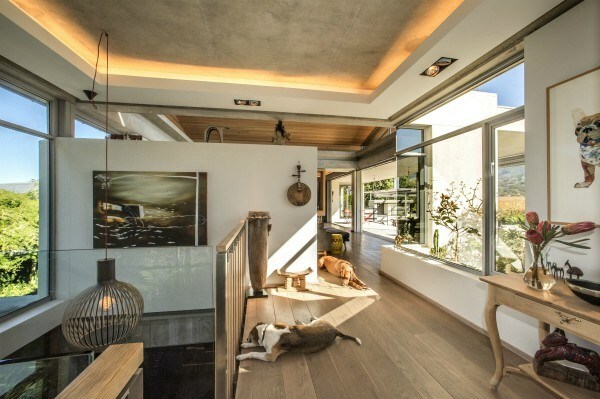 Working alongside architects Jan-Heyn Vorster and Tiaan Meyer, as well as landscape architect Mary Maurel, the couple managed to create a contemporary architectural masterpiece that is both inviting and modern in design. The space in the home has been cleverly utilized while introducing a large amount of soil to create the right aspect and ensure the home remain sensitive to its environment. The sensational panoramic views of the gorgeous Groot Constantia vineyards and the mountains behind them add to the features of the home as they melt together where the lands meet the open plan deck. 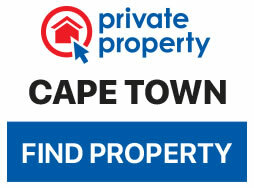 The home is currently listed by Pam Golding Properties for R45-million. Because of the lifted nature of the residence, it appears to be floating when viewed from the vineyards and has been built with a focus on maximizing a 360-degrees view with the help of large panel glass windows. The location also provides perfect tranquility and privacy as it is located at the end of a cul-de-sac. From the roadside, the house appears deceptively ordinary, even modular with its two mono-pitch flip-up roofs. 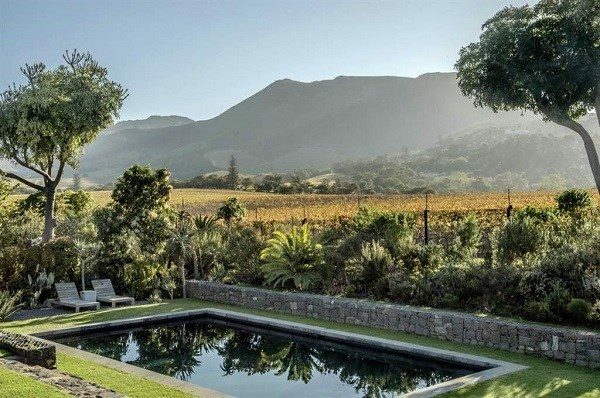 But on entering the glass-encased staircase, which offers an unexpected view of the False Bay coastline and surrounding gardens, makes one realize just how unique the property really is. The home is built with a neutral canvas featuring warm, bright tones and Cedarwood. Walls and ceilings are constructed with meticulously cast off-shutter concrete, with solid oak floors and cabinetry. Focal points in the living area is a custom-designed, 1 000-litre marine reef fish tank within the custom cabinetry dividing the kitchen and lounge and the bespoke wine cellar that can house 1 000 bottles. The bedroom wing, with four rooms, is stepped to offer each room both a Northern and Western aspect and to blend in with the garden. Stackable glass doors ensure that, when the cedar screens and curtains are opened, there is nothing between you and the outdoors. Matt has introduced more than 300 trees into the garden, which have been planted to mirror the linear design of the house. The garden features truly unique fynbos with several hundred, different species of Proteas, Ericas, Leucodendrons and many other rarer fynbos. A private gate allows for easy access to the vineyards. The outside entertainment area boasts a pizza oven, stainless steel built-in braai and a climbing wall that leads to the rooftop deck with uninterrupted 360-degree views. Additional features include a sizable salt swimming pool, tree house and a trampoline, as well as two outside showers. A study and guest suite make up part of the ground floor. The owners have made good use of space beneath the home by adding a sauna room. An electric fence, outside beams, and the perimeter ClearVu fence ensure peace of mind without compromising the breathtaking views.